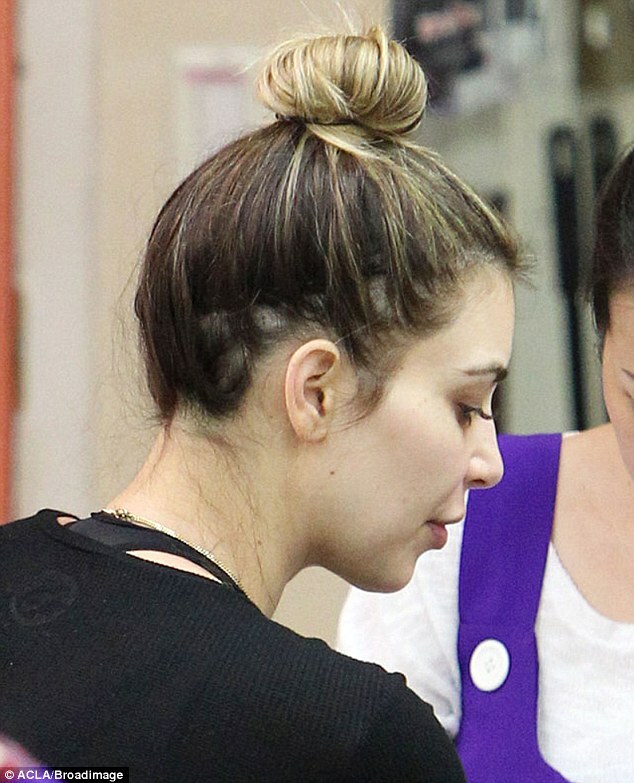 The LeMetric Hair Design Studio / Uncategorized / Is Kim Kardashian Suffering From Hair Loss? Images have surfaced that have caused quite a stir in the hair industry. Photos of Kim Kardashian with her hair in a bun that clearly shows extreme hair loss have been trending on the internet. Does she have traction alopecia? Or is her baldness caused from her recent childbirth and speedy weight loss? “‘It is well known that during the later stage of pregnancy you lose less hair due to hormones, making it thicker and lusher, but when you have the baby most women find they seem to be losing a lot more hair than normal. What with the rapid amount of weight Kim lost and dieting in the months after the birth, this may have accelerated the hair loss, giving sparser looking patches, we can clearly see how thin her hair is around the hairline,” explained hair extension expert Tatiana Karelina. Apparently Kim Kardashian has also been wearing weaves and hair extensions to add volume to her hair, which only aids hair thinning and hair loss. The constant tugging on the scalp from weaves and hair extensions have been known to cause balding and severe headaches. In any case, we hope that her hair loss is only temporary. What are your thoughts? Learn How To Make A Hairpiece/Wig! tests. It improves your hair’s elasticity, texture and strength.